Marie is host of the show ! Marie´s New Year´s message ! !! LIVE !! 4,5 hours @ TV4 !! LIVE !! so be prepared for a long evening with Marie ! A long show - good luck Marie ! BingoLotto´s "Giving Away An Incredible"
Read what Marie has done today: photos ! 19:00 @ Sjuan 19th show with host Marie LIVE ! 18:00 @ TV4 18th show with host Marie ! 20:00 @ SVT1 Hidden Camera : the audition ! Marie is looking for a cavalier for the Nobel banquet. 19:00 @ Sjuan 18th show with host Marie LIVE ! 18:00 @ TV4 17th show with host Marie ! 2013/Dec/01 Marie´s NEW BLOG ! Welcome & Happy 1st Advent ... from Marie ! 19:00 @ Sjuan 17th show with host Marie LIVE ! 18:00 @ TV4 16th show with host Marie ! 19:00 @ Sjuan 16th show with host Marie LIVE ! 18:00 @ TV4 15th show with host Marie ! for Spring/Summer 2014 and comes out in mid-January. 19:00 @ Sjuan 15th show with host Marie LIVE ! 18:00 @ TV4 14th show with host Marie ! 19:00 @ Sjuan 14th show with host Marie LIVE ! 18:00 @ TV4 13th show with host Marie ! 2013/Nov/09 Marie´s hair: kissed by the sun ! >>> Dec/23 19:30 - 24:00 LIVE ! 19:00 @ Sjuan 13th show with host Marie LIVE ! 18:00 @ TV4 12th show with host Marie ! MAKT i MEDIA met Marie after the show ! A few weeks ago, a nice bunch of "Power of the Media"
and met Marie after the TV broadcast. VIDEO interview/engl. 19:00 @ Sjuan 12th show with host Marie LIVE ! 18:00 @ TV4 11th show with host Marie ! 19:00 @ Sjuan 11th show with host Marie LIVE ! 18:00 @ TV4 10th show with host Marie ! Season 2 : Start of the recordings in Gothenburg ! 19:00 @ Sjuan 10th show with host Marie LIVE ! 18:00 @ TV4 9th show with host Marie ! Win a leather jacket, designed by Marie ! 19:00 @ Sjuan 9th show with host Marie LIVE ! 18:00 @ TV4 8th show with host Marie ! Yesterday: photo shooting for BingoLotto. of Marie ... and Petra from metro MODE. 19:00 @ Sjuan 8th show with host Marie LIVE ! 18:00 @ TV4 7th show with host Marie ! 2013/Sept/27 Marie in Britney style ! 19:00 @ Sjuan 7th show with host Marie LIVE ! 18:00 @ TV4 6th show with host Marie ! 19:00 @ Sjuan 6th show with host Marie LIVE ! 18:00 @ TV4 5th show with host Marie ! 19:00 @ Sjuan 5th show with host Marie LIVE ! 18:00 @ TV4 4th show with host Marie ! 19:00 @ Sjuan 4th show with host Marie LIVE ! 18:00 @ TV4 3rd show with host Marie ! 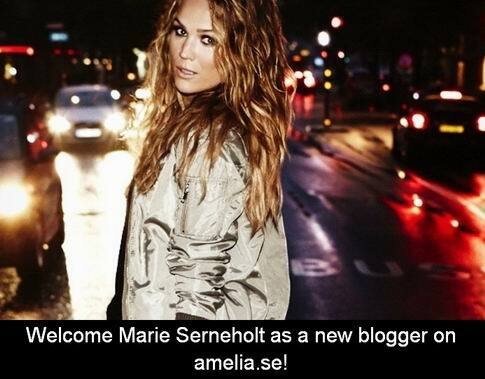 More about on Marie´s BLOG - check it out now ! 19:00 @ Sjuan 3rd show with host Marie LIVE ! 18:00 @ TV4 2nd show with host Marie ! 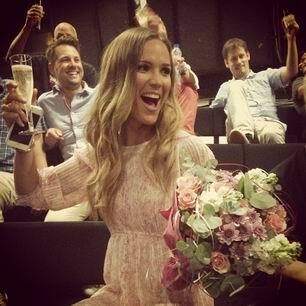 18:00 @ TV4 Premiere for Marie´s new game show ! Marie´s premiere as new host of the show ! at a fashion show in Copenhagen / Denmark. she´ll lead from sunday August 11 at TV4´s channel "7". 2013/July/29 Leather Jacket " Marie London "
Marie´s designed fall collection in stores from August/10 ! After Gran Canaria ... Marie and friends enjoying Puro Beach ! 2013/July/23 Marie @ the Robbie Williams concert ! 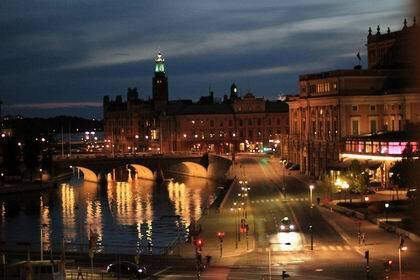 Grattis & welcome in the second third of your life ! success, fun & luck in all things you want to do ! and stay as you are, you´re a great person ! 2013/June/28-29 SOON DIRTY THIRTY ! !! Our lovely Marie turns 30 on July/11 !! 2013/June/19 " Click Click "
Greetings and photos from Marie ! 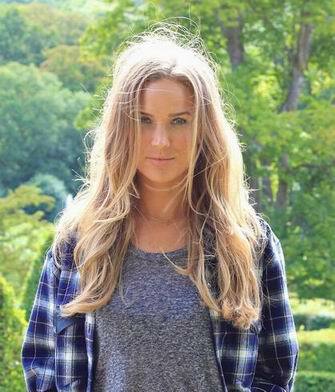 "I grew up with Bingolotto"
it's time for a new person to take on the mantle: Marie Serneholt. "Bingolotto" and the new show "Bingolottos Up to a Million"
Both shows are broadcast on Sundays, start in August ! "Bingolottos Up to a Million"
during the ESC in Malmö 2013.
whole day till 4:00 in the morning. May/17 Marie IG: 01 02 03 BLOG: 01 Oma Ella ! 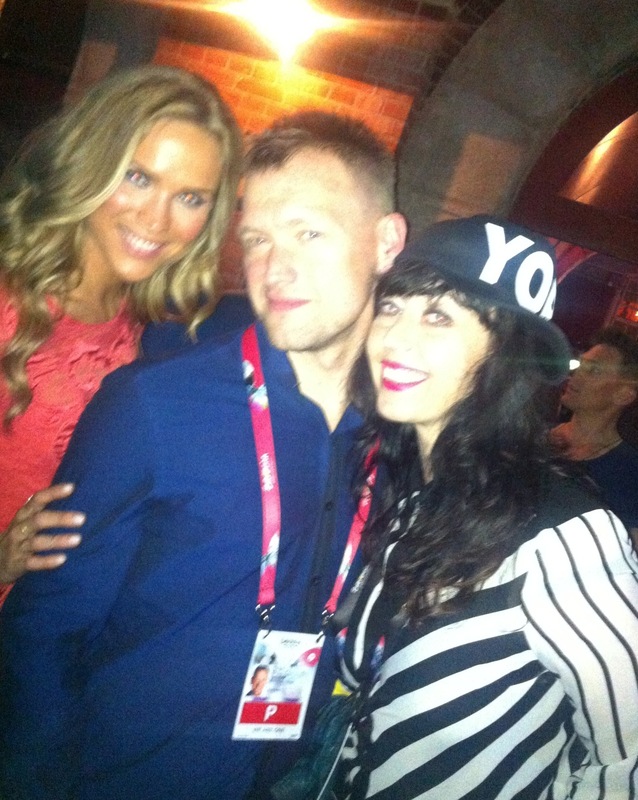 "Bingolotto Up to a Million"
ESC / Marie host the EuroClub events ! May/10-18 Marie on stage with "Schlagerfeber"
"Slagthuset", Nightclub & Disco in Malmö City. in whole Sweden - for kids in the "Third World". @ BingoLottos "Up to a Million"
book your seats to hang out in the studio ... with Marie ! ESC / Marie to host EuroClub events ! during the Eurovision Song Contest next month in Malmö. 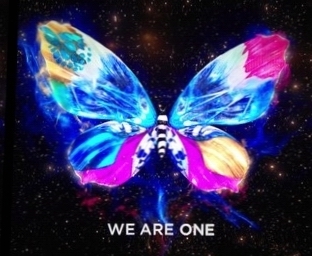 through the nights, together with other artists and DJs. ceremonies @ the nice location called "Winterviken"
"BingoLotto" & BingoLottos "Up to a Million"
will lead the new quiz show BingoLottos "Up to a Million". 2013/April/04 New Leather Jacket by Marie ! Coming into the stores in August - take a look @ the pics ! of Swedens nature Marie has enjoyed the past days. all visitors they came to the store to meet her ! 2013/March/28 Marie @ Wasséns - 100 photos ! 2013/March/27 Meet Marie in Gothenburg ! in Gothenburgs large shopping center "Nordstan". Daria S. has won the signed jacket, handed by Marie, congrats ! 2013/March/24 Marie @ "Café Bärs"
pub chanting the cheer chants accompanied by Marie. VIDEO ff to 18:45 to watch the part with Marie ! @ 13:00 & 15:00 !! Marie´s BLOG, IG & Outfit !! We´ll see Marie as guest in one of the episodes of "Café Bärs"
which just has been recorded. Show start is on March 24th. 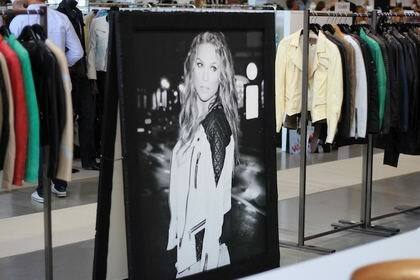 Marie leather jacket "New York City"
Out now and available in the fashion stores !!
" LOOK of the YEAR "
2013/Jan/08 Marie´s debut as designer ! and about the articles in the swedish magazine "S"